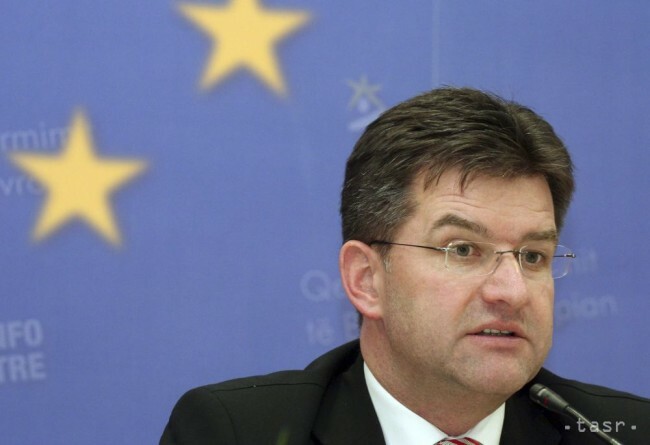 Bratislava, May 4 (TASR) – Foreign and European Affairs Minister Miroslav Lajcak before the Government session on Wednesday said that standing for the post of United Nations secretary-general is an opportunity from which one doesn’t run away. Lajcak hasn’t ruled out the possibility that he’ll run for this post, but he didn’t say when he’ll announce his decision. The Slovak chief of diplomacy explained that he’s currently preoccupied with preparations for Slovakia’s Presidency of the Council of the EU in the second half of this year. „I can’t dispute the attractiveness of this opportunity. It’s a challenge for a professional diplomat, and one doesn’t run away from opportunities … I’ll express my position when I feel like doing so,“ stated Lajcak. „The principle we’ve all agreed on is that we’d like to have the best possible candidate,“ added Lajcak, who rejected the opinion that the job will definitely go to a representative from eastern Europe even though no one from this region has headed the UN yet. Some degree of positive discrimination in favour of eastern Europe might come into play, but the same could apply to gender, as no woman has ever stood at the helm of the UN. Current UN Secretary-General Ban Ki-moon’s term in office will expire at the end of this year. The UN secretary-general is appointed by the General Assembly for a five-year term, following approval from the UN Security Council (UNSC). According to unwritten rules, the secretary-general should never come from any of the five permanent members of the UNSC – the USA, UK, China, France and Russia. There’s also a tradition of rotation between regions, and so it’s expected that the next holder of the post may well come from the eastern European group, which includes Slovakia.